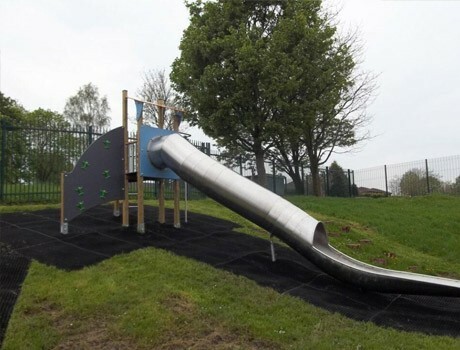 An embankment area overlooking an existing tarmac playground and unused grassed area all needing to be transformed into an exciting outdoor playground space. 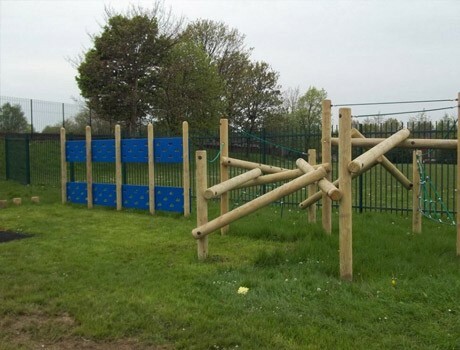 Our client wanted a focused ball play area within the tarmac area – various challenging climbing equipment to the grassed area and inspiration for the embankment! 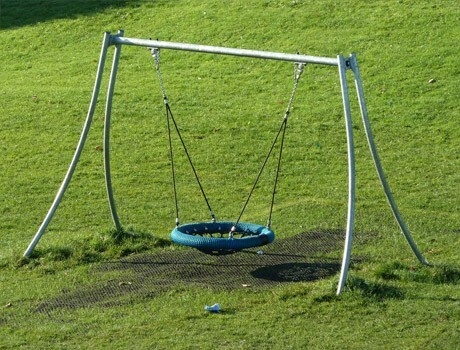 The gauntlet had been laid down. 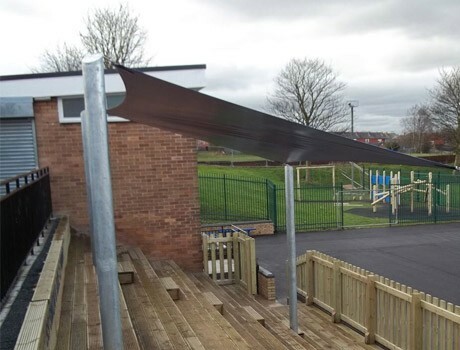 Team Pennine went to work and produced an innovative and exciting new outdoor learning space for the children to enjoy. 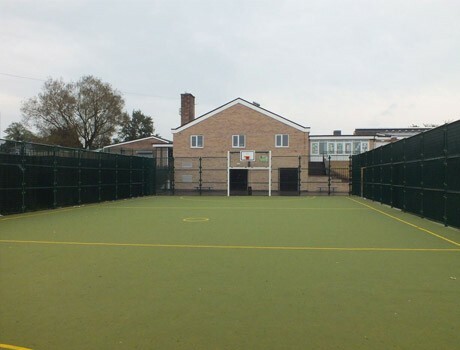 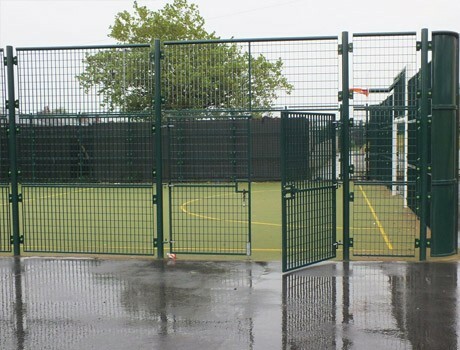 A MUGA was installed complete with sports surfacing to the existing tarmac space. 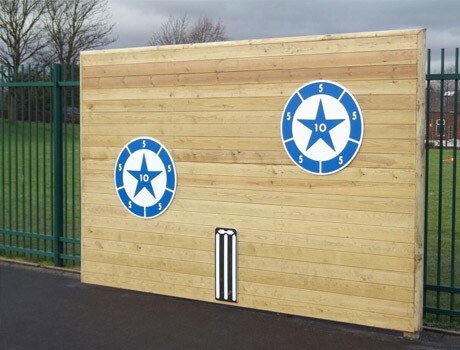 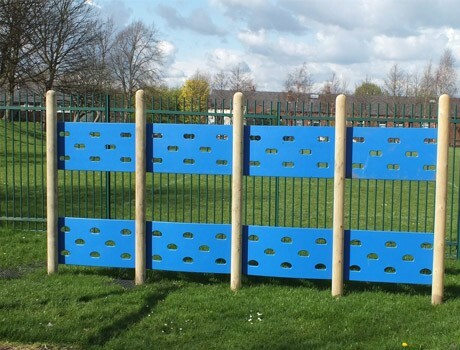 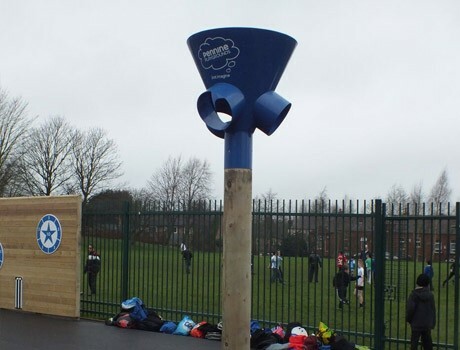 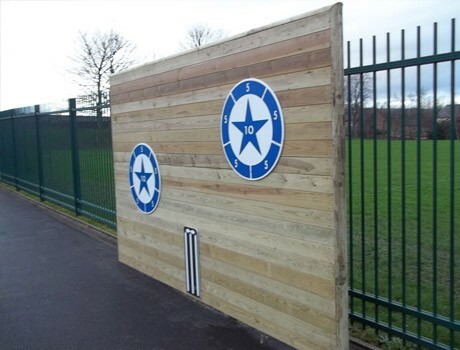 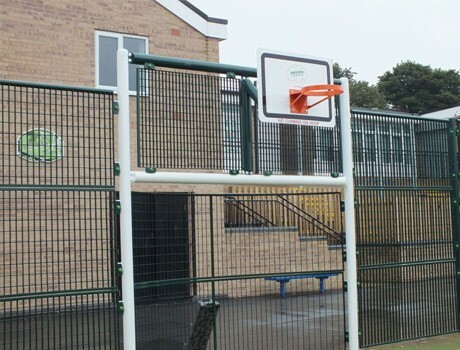 Pennine’s ball catcher and ball wall were installed outside the MUGA to provide an area for practicing focused ball skills. 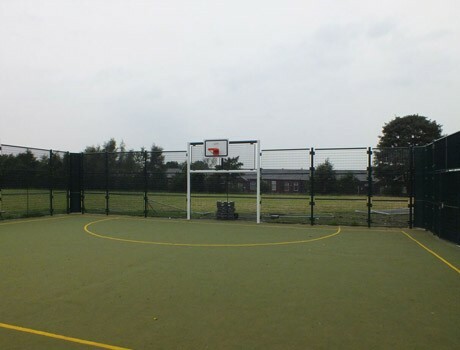 Linemarkings and seating were installed to complete the area. 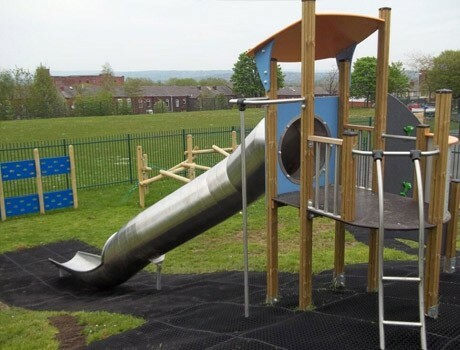 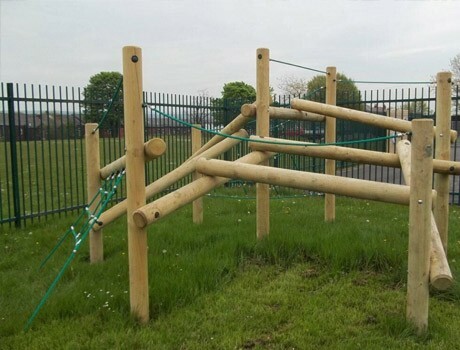 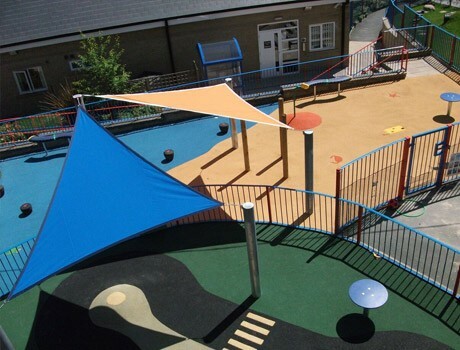 To the grassed area we provided a variety of multi activity play equipment encompassing, physical aspects, role play, excitement and most of all FUN! 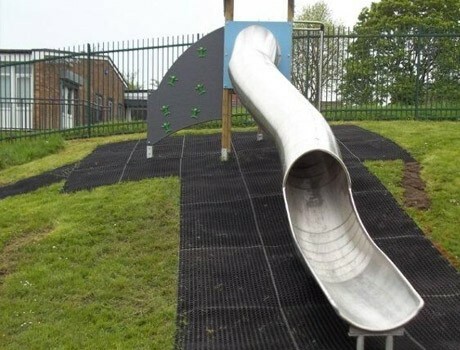 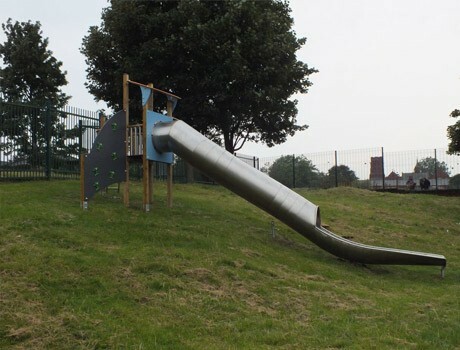 A multi unit was installed to the top of the embankment with an impressive tubular steel slide. 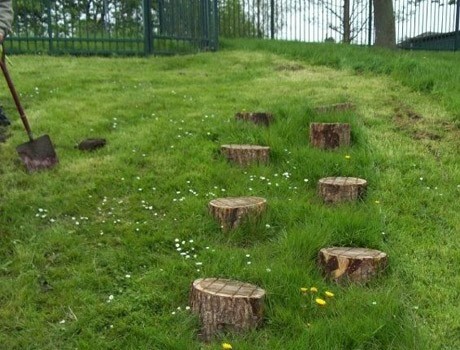 To make the journey up the hill more challenging, a mini giants causeway was incorporated. 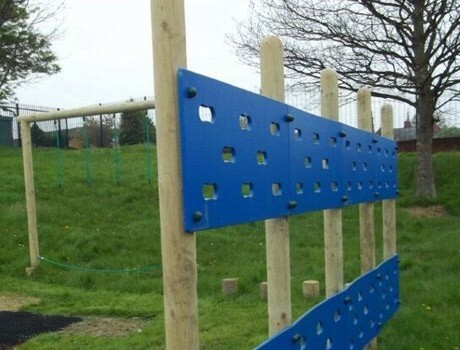 From there we venture to a series of trim trail items to complete play experience. 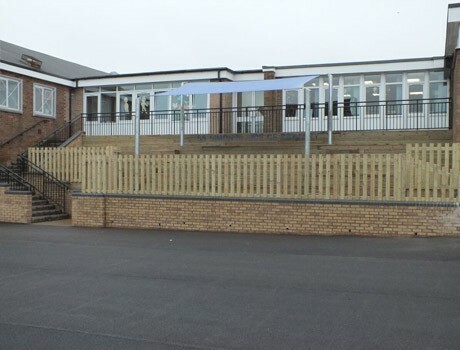 The existing embankment awakened our design flair resulting in an impressive focal point being created. 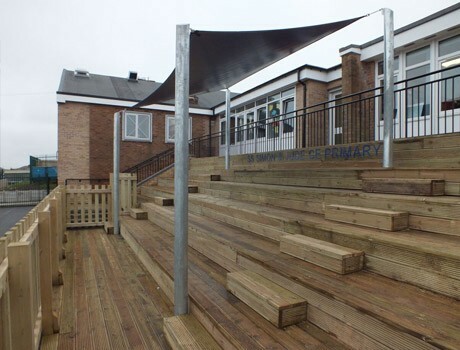 This area was transformed into a bespoke decked amphitheatre complete with access steps and central sail shade, making this an inspiring arena and spectator area for children to enjoy performing in and also the perfect place to sit, watch and learn.